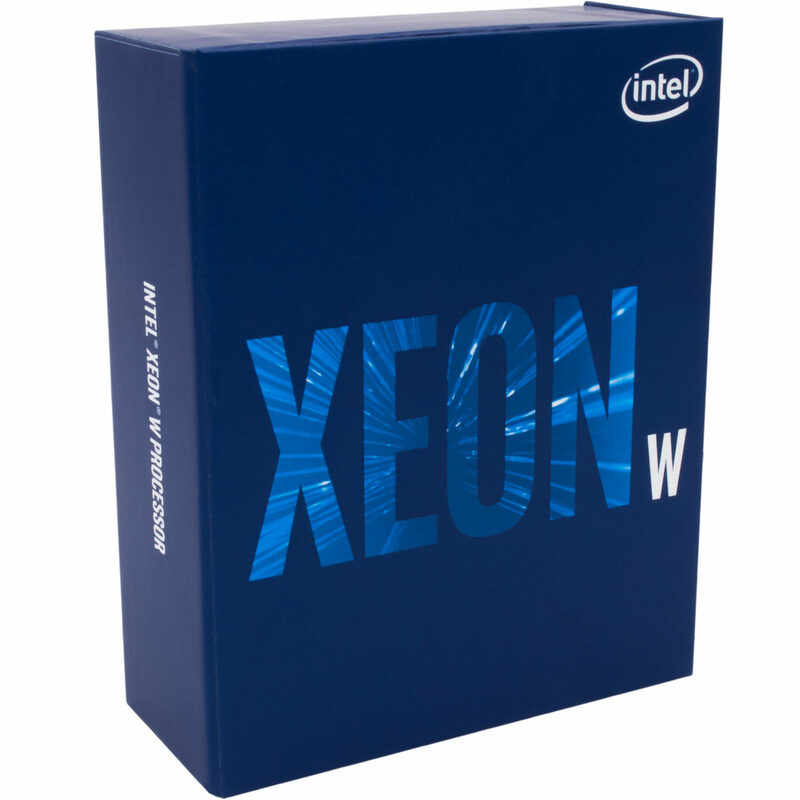 Intel has finally launched their flagship Xeon W-3175X high-end desktop processor which is now available for sale. The processor is the highest core count chip ever released by Intel for the HEDT platform and also the most expensive one with a retail price of $2999 US which is $1000 US more than their X299 flagship, the Core i9-9980XE. 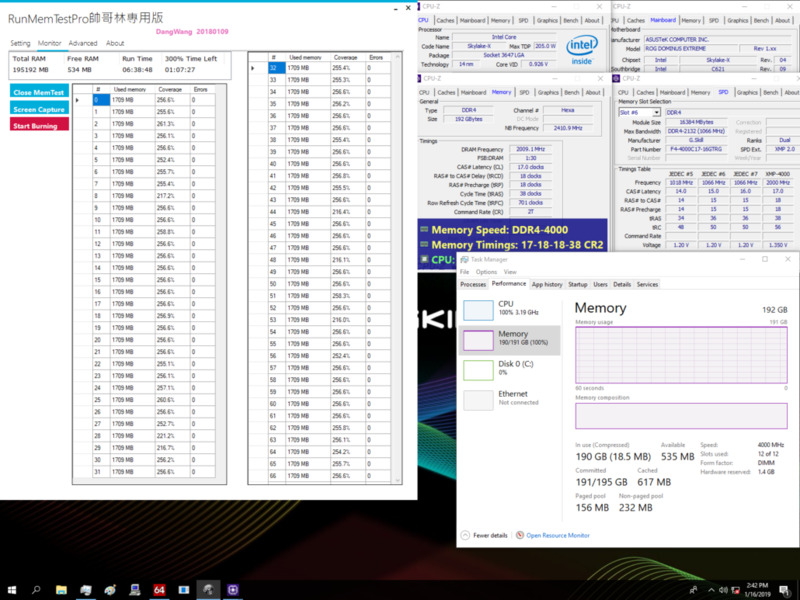 Intel’s Xeon W-3175X processor was first shown at Computex 2018 and has seen various delays since its announcement. Previously suggested to launch around the end of Q4 2018, the chip is now launching at the end of January 2019. Also, during this time, Intel didn’t give any info on the pricing of this part, only to be unveiled at the very last moment for their ultra-premium product. 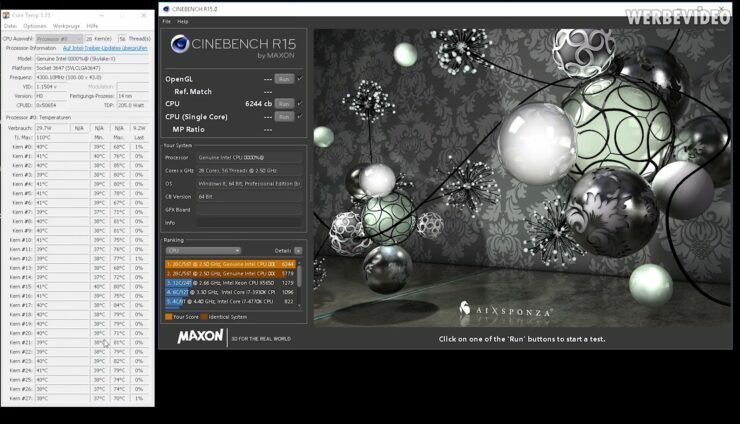 Coming to the specifications, the Xeon W-3175X rocks 28 cores and 56 threads. The base clock is set at 3.1 GHz while the maximum single core turbo frequency is rated at 4.3 GHz. 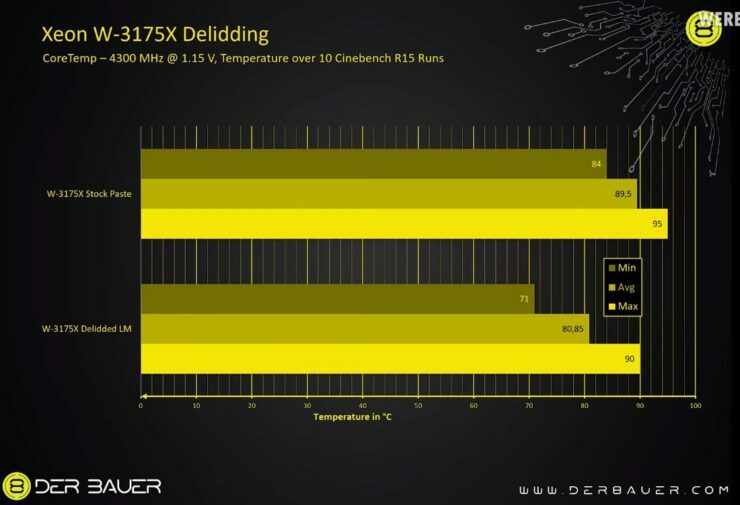 The chip has a TDP of 255W and other specs include a 38.5 MB cache, 68 PCIe lanes (44 directly from the CPU), a fully unlocked design for overclocking, six-channel DDR4 memory support including ECC memory. 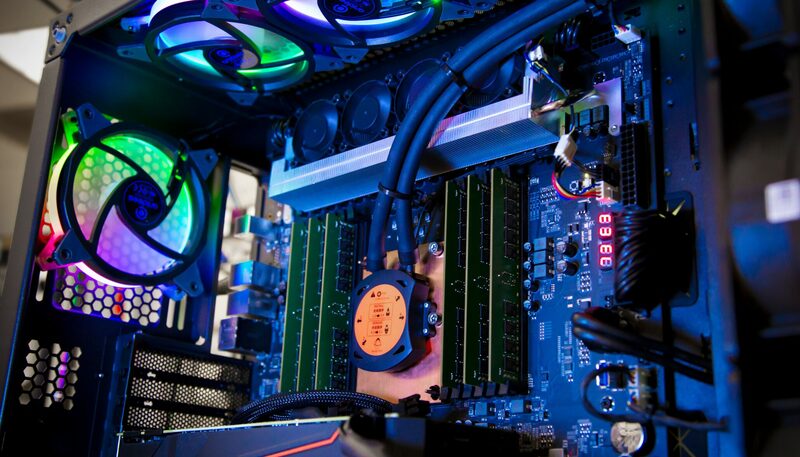 Intel Extreme Tuning Utility, a precision toolset that helps experienced overclockers optimize their experience with unlocked processors. Intel Advanced Vector Extensions 512 (Intel AVX-512) ratio offset and memory controller trim voltage control that allows for optimization of overclocking frequencies regardless of SSE or AVX workloads, and allow maximization of memory overclocking. Asetek 690LX-PN all-in-one liquid cooler, a custom created solution sold separately by Asetek, helps ensure the processor runs smoothly at both stock settings and while overclocking. Der8auer has also already delidded the chip, revealing that Intel is using regular TIM instead of solder design. 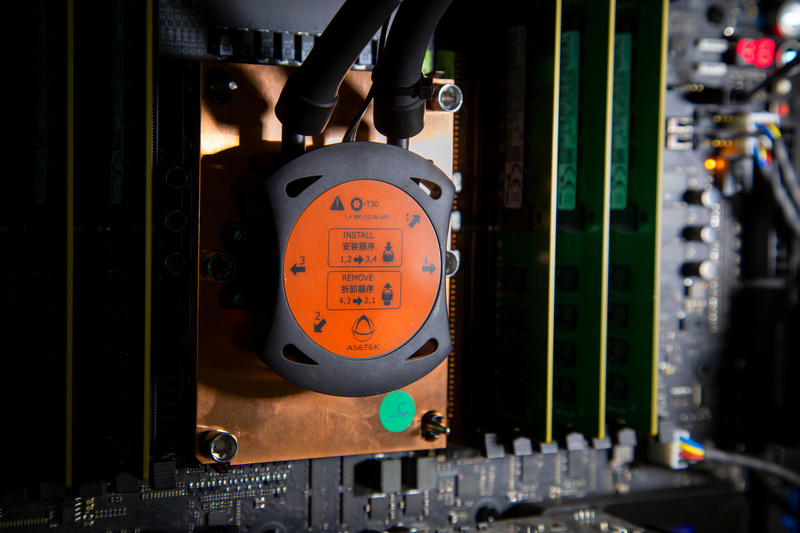 We can see a dual PCB design as was used on the X299 processors. 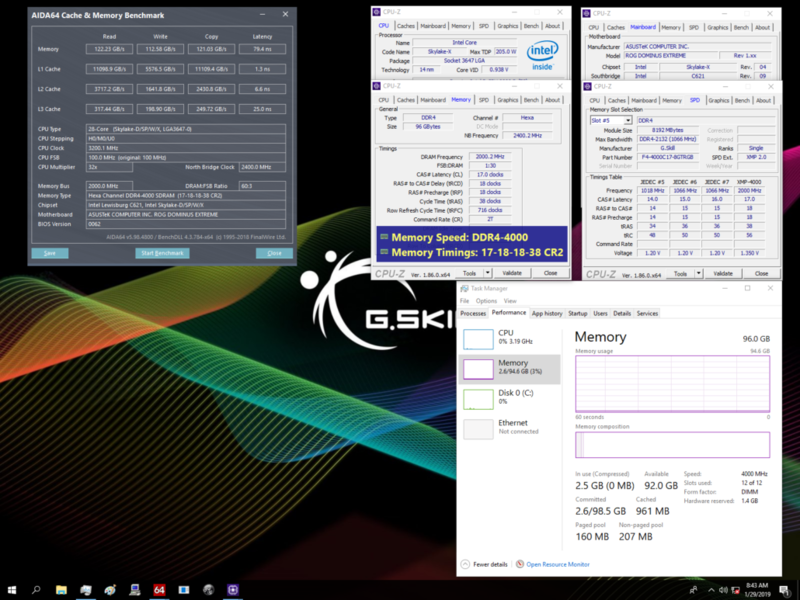 The chip was overclocked to 4.30 GHz across all 28 cores with a voltage supply of 1.15V as can be seen in the video below. 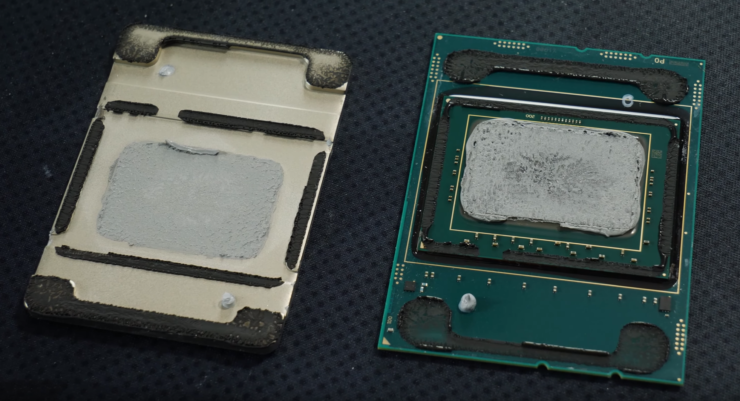 You can see some interesting performance numbers from the chip as well as temperatures before and after using liquid metal thermal paste below. Of course, a new Intel would always be accompanied by their partners introducing new products and platforms. The Xeon W-3175X processor required new motherboards and beefier memory as it features a six-channel DRAM controller and requires a lot of power to boot (255W TDP). 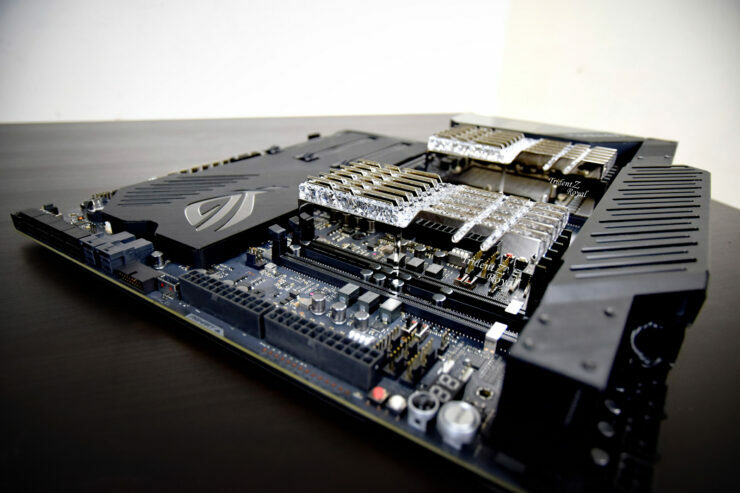 As such, ASUS and Gigabyte have already showcased their new motherboards, the ROG Dominus Extreme and the Gigabyte SKL-SP 1S which are based around the C621 chipset. In addition to that, G.Skill has also introduced their new Hexa-Channel Massive Capacity DDR4 memory kits with up to 4000 MHz speeds (CL17 timings) and 192 GB capacities. These kits will come with 12 DIMMs, each with 16 GB memory. The memory kits will be available in Trident Z Royal RGB series, in either gold or silver colors, and will start from 3200 MHz, 3600 MHz, and the aforementioned 4000 MHz kits. The memory kits are available now and utilize the best Samsung B-dies for overclocking and the best stability. As computing technology improves, the amount of processed data also increases, leading to a demand for more memory channels and higher bandwidth. For the first time, this new platform introduces hexa-channel memory support to the larger consumer market, which was previously only found in server-class systems. The platform and the hexa-channel memory won’t come cheap though so expect to be paying a really high premium for this platform. The motherboards aren’t listed yet but Intel has assured that OEMs will be offering pre-built PCs featuring their Xeon W-3175X CPU today. The prices for the Intel C621 chipset based motherboards and their availability is also not confirmed yet but we will make sure to keep you updated once more information is recieved.